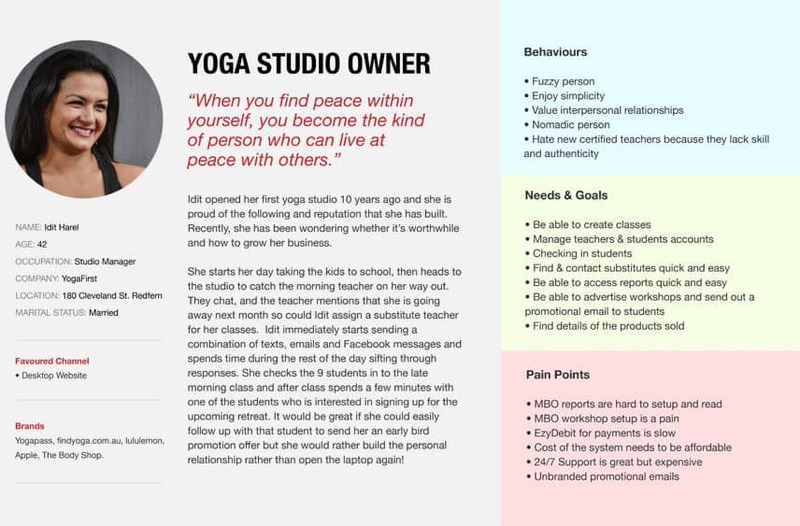 “Yogiverse” is back-office web application for yoga studio owners and managers to effectively run their studios. 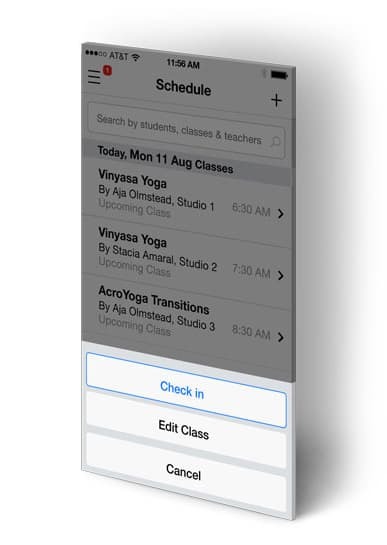 Our goal was to design a mobile application that assist owners and teachers in their studios. 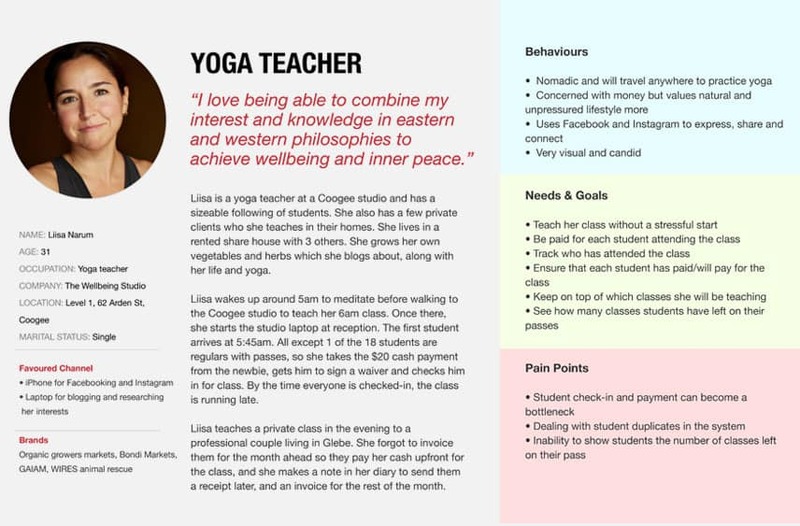 We started with the analysis of 34 in depth interviews provided by Yogiverse. The interviews covered studio owners and yoga teachers. We extracted user goals & pain points by creating an affinity diagram to identify user needs and product features. Thanks to our findings from the research analysis we were able to identify 2 main kind of users who will be benefited from using Yogiverse App. The livingroom yoga school at cogee gave us the opportunity to conduct a contextual inquiry. Observing the check in process and students getting into the class. This gave us invaluable information about the user and its environment. 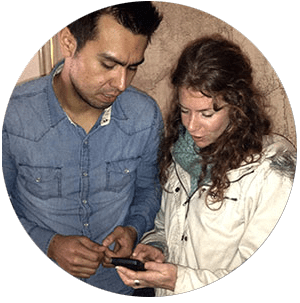 Thanks to the insights from the user research and contextual inquiry we were able to start sketching some ideas that helped us to solve our user’s needs. We then started with the sketching and ideation of a possible MVP. 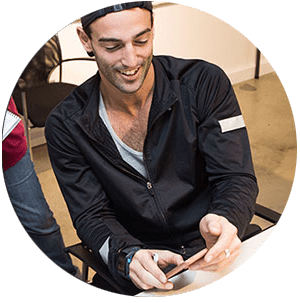 The development of a MVP allowed us to do fast testing of the product and features which gave us great qualitative feedback.The strategy used to develop the MVP was to focus on the features that users are most likely to use on the go. Such as the Check in feature, search for students and stuff, substitutions, notifications, and viewing the schedule. Features such as shop and reports can be added later on, as they are not fundamental to the studios. 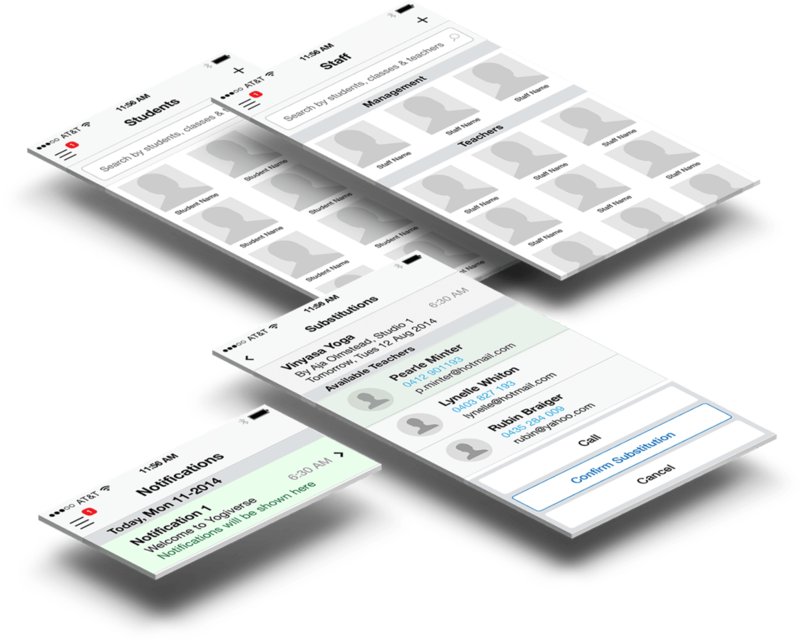 This features were validated by testing with the users who helped us to refine them. This is the main feature offered by Yogiverse. Easy and quick check-in process by offering owners and teachers a quick way to look up for students and check them in. 1.Select a Class and tap the check in button. 2. 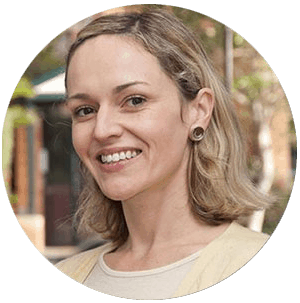 Look up for a student called Sarah Smith and tap on her name to check her in. The payment method preferred is cash followed by eftpos. 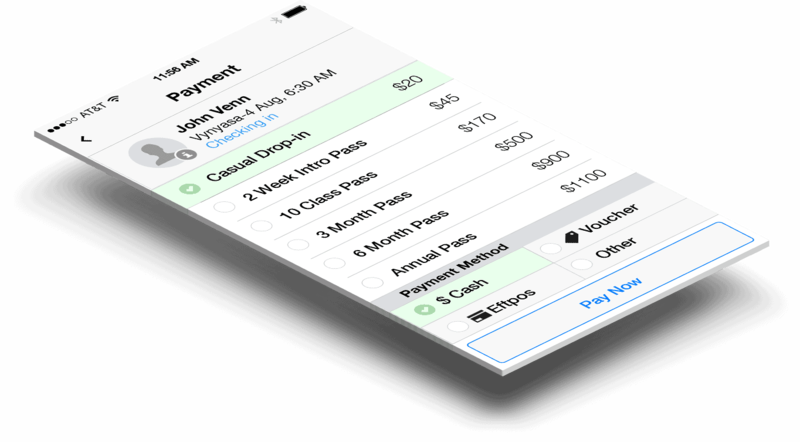 This screen allows owners and teachers to register the payment method received. The majority of the studios use an eftpos machine to receive the card payments. Any Additional payment methods such as Paypal, Direct Debit or even Square up can be configured from the web application and will need additional configuration. Concession pricing option is pending to be added! We ran 3 usabillity testing sessions with studio owners and teachers. 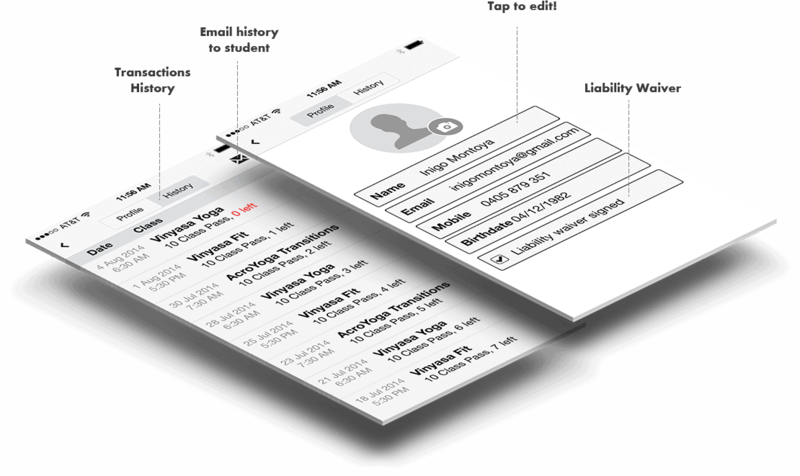 This allowed us to refine the prototype and reduce screens and steps which alllowed our users to accomplish the tasks given successfully. 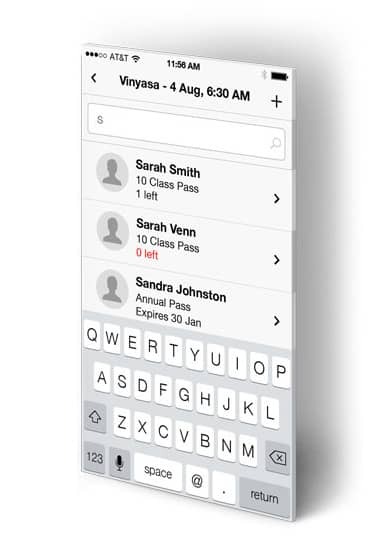 Our users loved how quick and easy it was to check-in students to classes. They loved that the prototype was simple and made sense to them. They did have questions about parts of our design, which helped us refine our subsequent prototypes. “Check-in page needs to contain the name and time of the class” Fixed! We need to be able to see who has attended the class. Added! Be able to contact student by email or phone to chase them for classes they haven’t paid for. Added! Be able to edit a class’ teacher. Added! In emergency situations, get a list of teachers who are actually available and start calling. Added! Sarah will love to have a way to contact students that did not pay for the class. Added! Substitution feature did not make sense to the users as it was too complicated. Activity Feed was not a relevant feature for them. Reports: Will be a nice to have on the phone but not really necessary. They are looking forward to see those detailed report data from the studio on the web application. May need to highlight the hamburger menu with a colour or something. She did not notice there were some additional options. Fixed. May need to make a “global search” on Dashboard. Dara did not look for sections such as “Students” section. Added. Dara had to look for the “save” button and “add” button when adding new student. She expected those buttons to be down the bottom because the “pay” button was also down the bottom. Loved the way the checkin was quick and easy. 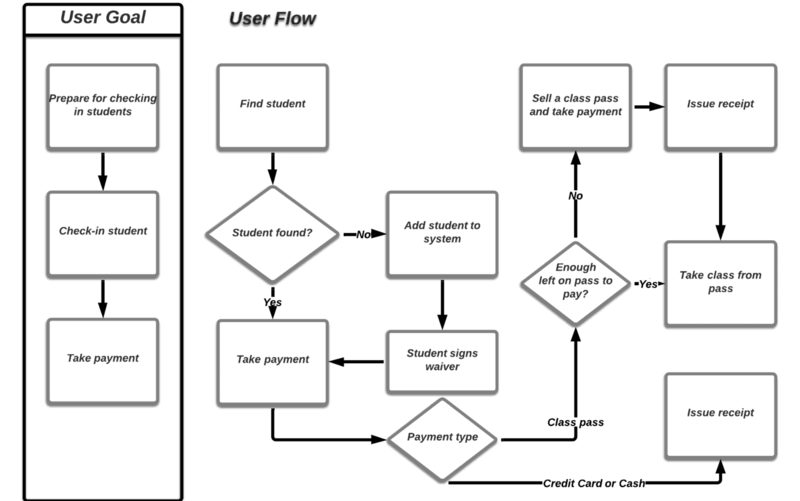 Yogiverse received a refined interactive prototype that illustrates the main features needed to build an MVP: The flows delivered include: Student check-ins and payments, viewing student accounts, finding substitutes, viewing schedules, adding new classes, viewing staff members, reviewing important notifications. At UXDesign.team we partner with companies who are using disruptive technology to revolutionise the tech industry. Companies who value design and are looking to improve user satisfaction of their products and services.